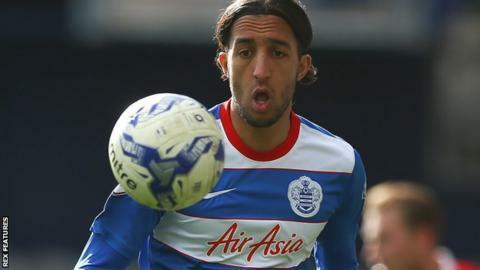 Forward Nasser El Khayati says Queens Park Rangers are looking to build momentum to take into next season. The R's, relegated from the top flight last season, are currently 11th in the Championship table. "Queens Park Rangers is definitely a team whose home is in the Premier League, not the Championship," the Dutchman, 27, told BBC Radio London. "The thing is to push as hard as possible this season to be ready for next season." He added: "You can have a season like this as football is not always nice and you cannot always be where you want to be." The Loftus Road club have had three different managers this season, with head coach Chris Ramsey sacked in November with the side in mid-table. Neil Warnock spent a month in interim charge before Jimmy Floyd Hasselbaink was appointed in early December - but the former Chelsea striker had to wait until his eighth league game to secure his first victory. Rangers have since enjoyed an upturn in results, suffering just two defeats in their last 10 games, and El Khayati can see signs of progress in west London. "I have been here for eight or nine weeks and a lot of things are changing in a good way," he said. "The team spirit is brilliant, which is very important. If you are not a unit, you go nowhere. "All the things we have as habits now can help for next season." El Khayati previously played under Hasselbaink at Burton Albion, and followed his compatriot down to London in February. "We had only good results at Burton, where nobody expected anything," he added. "A lot of things are exactly the same with the way he is working here. "You have to deal with different characters, so he has to change a bit but the last two months have gone really well. "As a player he was a legend. Every day when I see him on the pitch, you get extra [motivation] to show him what you can do."